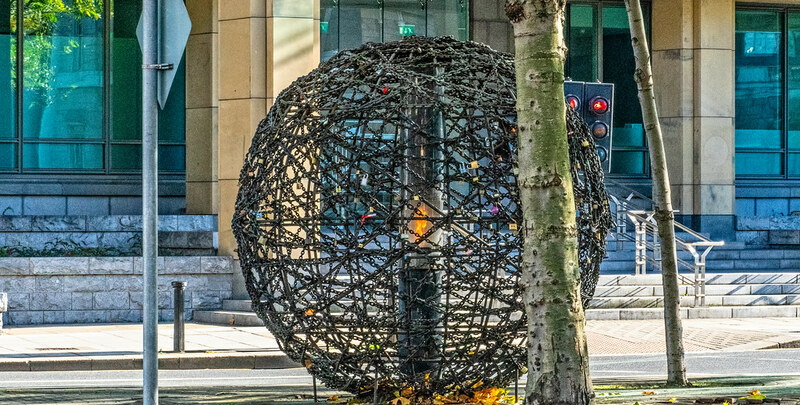 This is located on the traffic Island at the junction of Amiens Street and Memorial Road, close to Busáras and The Customs House. Making a guess I would say that most people drive or walk by this without being aware that it is a sculpture which is a pity. 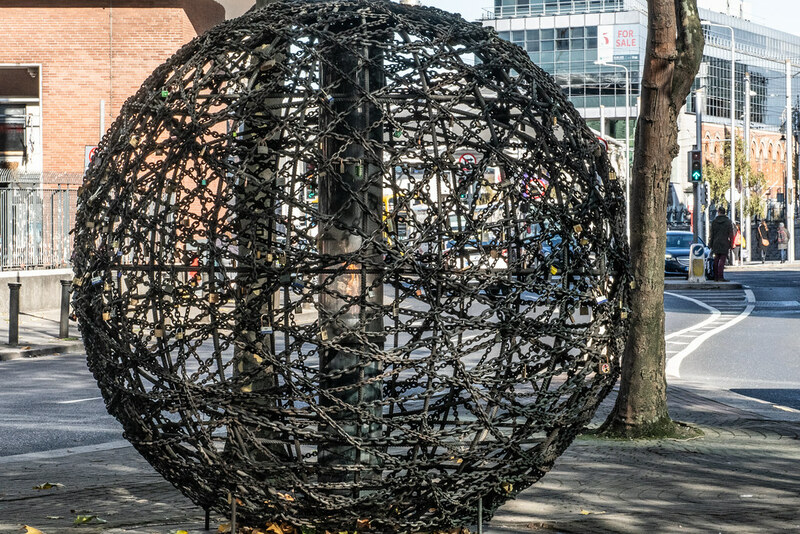 It is known as ’Universal Links on Human Rights’ and it is a memorial in the form of a sphere of welded interlinked chains and bars. 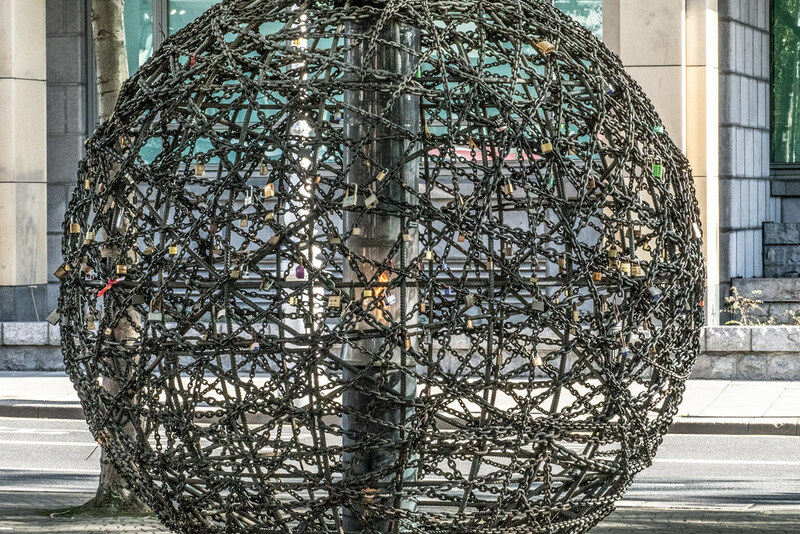 It is 260cm in diameter and it contains eternal flame powered by natural gas from Kinsale. 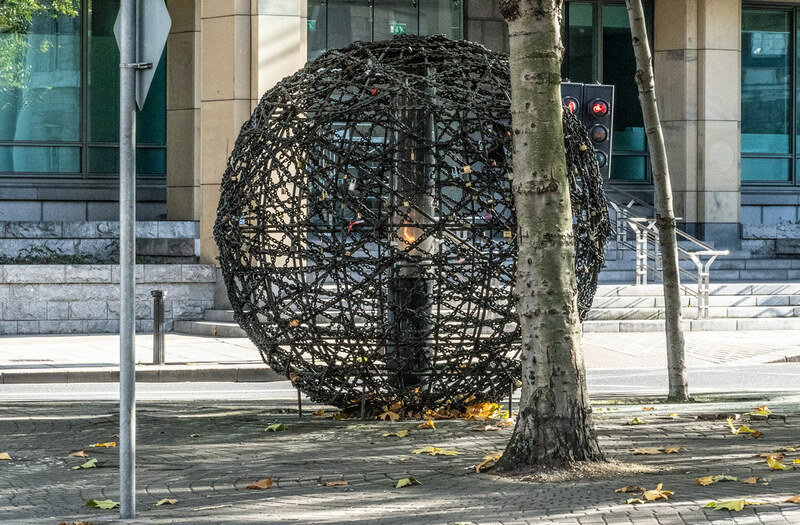 This sculpture was commissioned by Amnesty International in 1995. It represents the jails around the world holding prisoners of conscience.